Tommy Baldwin is an up and coming multi-instrumentalist Blues-Rock guitar player from Indianapolis, Indiana. His father died when he was 10 years old and has been his blues musical motivation ever since. He now has been taken under the wings of rock-legend, Dug Pinnick from the band, King's X. 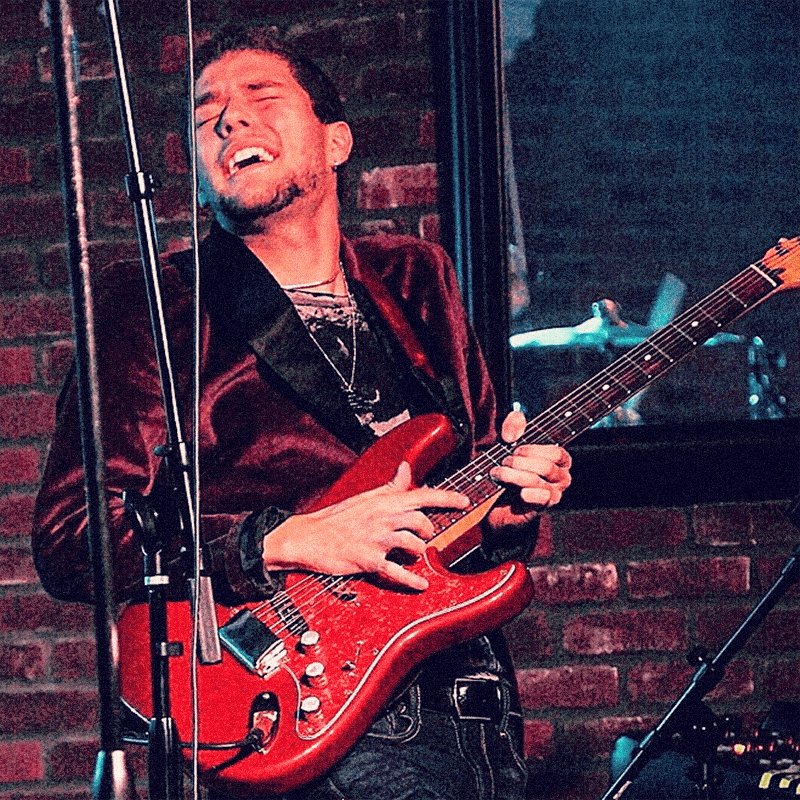 He is quickly becoming known as the next generation of Blues-Rock. Dug Pinnick is producing and playing bass on Tommy's upcoming record, "Moving Towards The West Coast Sun", due to release in 2017. Tommy has played with very well known musicians such as: Kenny Aronoff (World Renown Drummer/Supersonic Blues Machine), Billy Sheehan (Bass Legend), Ray Luzier (Korn, David Lee Roth), Stephen Perkins (Jane's Addiction), Koko Powell (Edgar Winter), Louis Metoyer (Lenny Kravitz, Hilary Duff), Eric Gales (World Renown Guitar Player), Mike Hansen (Paul Gilbert, Hurricane), Corey Glover (Living Colour), Chuck Wright (Quiet Riot), Mark Schulman (P!NK), Eric Valentine (Steve Lukather, Steve Vai, plus MANY more), Jonathan Moffett (Michael Jackson), Lance Lopez (Supersonic Blues Machine), Jimmy Paxson (Stevie Nicks, Philip Sayce, Dixie Chicks, + MANY more) Sean McNabb (Dokken/Lynch Mob), Eric Dover (Slash's Snakepit, Jellyfish, Alice Cooper), and many more well known musicians. "I fell in love with these pedals the moment I plugged in at Bass Player Live. Regardless some of the pedals I use are for bass, it takes nothing away from the guitar aspect. They give the most transparent and clean tone I've ever heard in an efx pedal. I currently have on my board (in this order between my other efx) the Multi-Comp, Bass IQ, OctaBass, Red Twister, and the DynaVerb, and in the process of adding some of the new Blue Label pedals. I love ALL of these pedals equally, and they have revolutionized my tone from both spectrums - Super clean, punchy, ambient, and deep for beautiful open "sparkly" chords, to my real heavy gain rock rhythm and lead tones for soloing. Especially when I need to clean up my overdrives and to boost my signal gain, but at the same time not distort my other pedals. I absolutely love them and recommend them to ALL types of musicians, you will NOT be disappointed!"